We hear lots of crazy stories about the Galaxy S10 lately, but few actually come from credible sources. SamMobile is one of those with a good track record and it now claims to have interesting info about the upcoming trio of Samsung flagships. 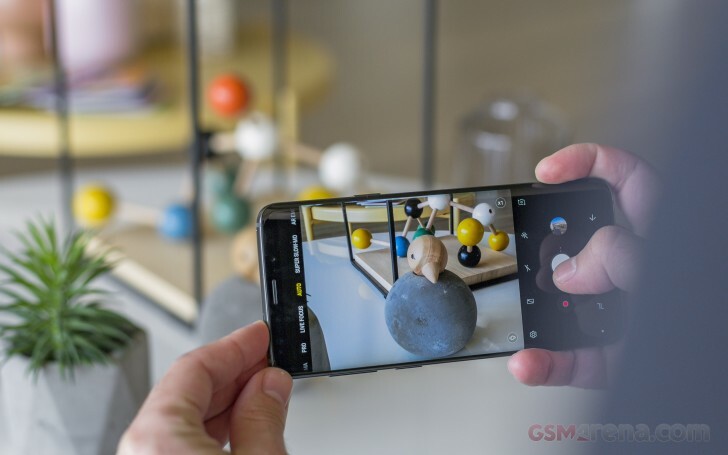 One states that one of the Galaxy S10 models will have a side-mounted fingerprint and the other report says that the Galaxy S10+ with the triple-camera setup will boast a "super wide angle" lens. Yeah, you've read that right - trio of flagships. There's a rumor going around that the Korean tech giant is planning to introduce three Galaxy S10 phones instead of the two it has been doing lately - one with a 6.44-inch screen (the plus version), a standard model with 6.2-inch panel and an affordable version with smaller 5.8-inch display. To keep the price competitive, the affordable Galaxy S10 will come with a side-mounted fingerprint and a flat Infinity Display instead of a curved one on the two premium handsets, which are rumored to have an in-display fingerprint sensor. Our best guess is that Samsung is feeling the pressure from the affordable Chinese brands or just wants to conceal the price increase of the premium models. We wonder if the budget Galaxy S10 will benefit from the 3D face scanning tech as well or it won't be skipping the iris scanner. Additionally, we now know what the rumored third camera on the plus model will be all about. According to AllAboutSamsung, it will provide a 123-degree wide angle view, 16MP resolution and f/1.9 aperture. A 12MP dual aperture main camera and a 13MP f/2.4 telephoto unit will be the other two. If Samsung really pulls it off, we might see the perfect combination of a normal sensor aided by a wide angle lens and one for telephoto shooting. Unfortunately, the wide angle sensor won't be having autofocus or OIS, much like LG's flagships starting with the G5. But what camera setup will the regular Galaxy S10 and the budget S10 get, remains a question.